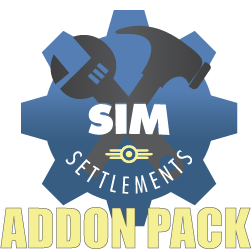 Tutorials and Resources for Creating your own Add-On Packs for Sim Settlements. Written so anyone at all can follow them! Modders and n00bs alike! To Players Looking For New Content For Sim Settlements, watch for this logo in descriptions and mod thumbnails! 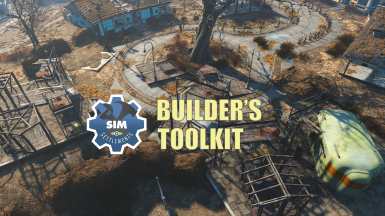 This Toolkit contains tutorials, and resources to show you how to add new Building Plans and VIP Stories to Sim Settlements! It was written for both experienced modders and people brand new to it who want to give modding a try! The tutorials have sections in green for new people that veterans can skip, and sections in red for experienced modders that the rookies can skip. I hope in this way the tutorials are useful to as many people as possible! 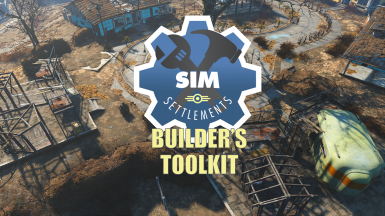 Check out the Youtube channel for Sim Settlements where I'll be releasing a Companion Video Series to go along with the Builder's Toolkit. While modding is challenging, the biggest challenge of it, is patience and having someone show you where to start. The tutorials assume you know absolutely nothing about modding and will walk you through step by step. Don't be afraid of it - we all have to start somewhere! To help you get started, I've set up a Discord channel for Sim Settlements (for those who don't know Discord is a chat app especially designed for gamers! Check it out at https://discordapp.com), myself and many other experienced modders are hanging out there to build our own stuff for Sim Settlements and would be happy to help you learn as well! If you'd like an invite to the Discord channel, head: here to request an invite! I learn new stuff everyday from all the modders who hang out in the modder Discord channels, so feel free to join us as well and just hang out while you work on Sim Settlements stuff, or your own projects. Just head here to request an invite! Sim Settlements can be downloaded here: http://www.nexusmods.com/fallout4/mods/21872/?